Sip & Shop A’ Go-Go! DJs Kurtis Powers, Ol’ Stark and Shakey swing at the Sip & Shop Party! Our pal and fellow DJ Ol’ Stark is a cool Parisian moderniste who has been living in this city for more than ten years. 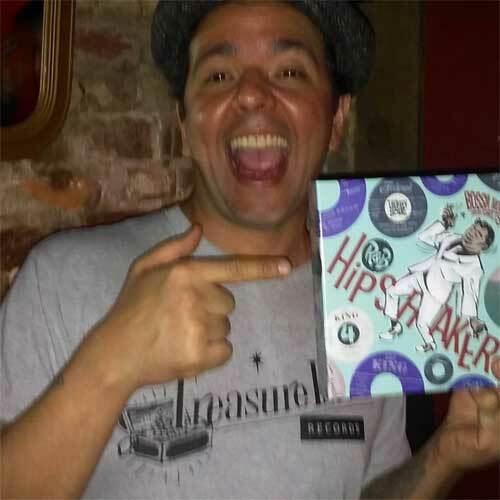 He often hosts very groovy events—his Let’s Boogaloo was a huge favorite—and for the last several years he has been providing the soundtrack to the Arts & Fleas room of the Chelsea Market in Manhattan. Plus, Ol’ Stark has a booth of his own there, selling records and some very swingin’ threads. In December, he and the Arts & Fleas folks host a party called Sip & Shop: Ol’ Stark invites some of his DJ buddies to play records and the Arts & Fleas folks provide some champagne for anybody who wants it. Phast Phreddie the Boogaloo Omnibus and Captain Heartlock display their respective gang signs at WHAM-O WATUSI! Captain Heartlock has got to be one of the busiest musicians in town. He’s in three bands: Madam Robot and the Lust Brigade, The Electric Mess and The Othermen. All of the bands are good, play often and make sound recordings. Plus, he is often seen around town DJing with his boss records. It was in the latter capacity for which he was employed at the Bootleg Bar on December 5 for WHAM-O WATUSI, hosted by Phast Phreddie the Boogaloo Omnibus. Captain Heartlock peruses through his box of 45s in order to select the perfect record to play at WHAM-O WATUSI! Kid Congo Twists All Night! Phast Phreddie the Boogaloo Omnibus and Kid Congo Powers swing at TWIST ALL NIGHT! This November, the Commodore Boogaloo Night fell on the day after Thanksgiving (the 27th)—as it does most years. When that happens, host Phast Phreddie the Boogaloo Omnibus brings out a host of food and bird records. He did it this year, when he presented the third TWIST ALL NIGHT, augmented in the most fabulous fashion with guest DJ Kid Congo Powers. 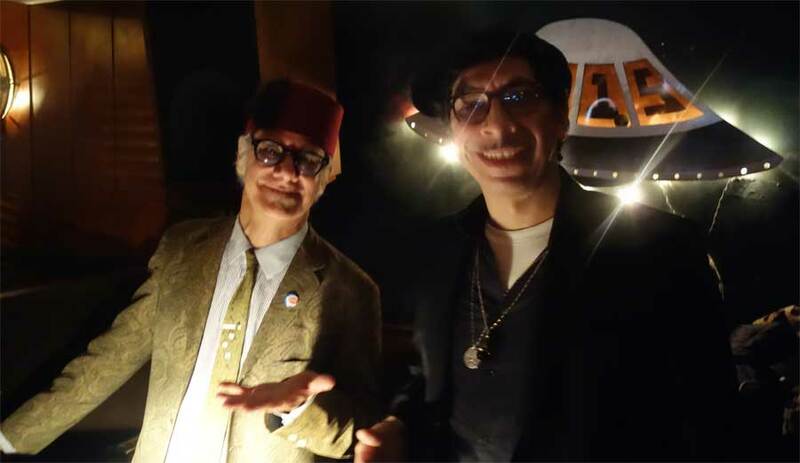 As the Boogaloo Bag reported when The Kid was guest DJ at WHAM-O WATUSI in August, he and The Boog go way back—most likely before most Boogaloo Bag readers were even born. The Kid has spent his entire adult life as a professional musician—playing guitar for (in roughly chronological order) The Creeping Ritual (which became The Gun Club), The Cramps, (then back to) The Gun Club, The Fur Bible, Nick Cave & the Bad Seeds, Congo Norvell, The Knoxville Girls and his current organization The Pink Monkey Birds. Man, that’s a lot of action with top legends. And to top it off, the band that he works with now is one of his best. The Boogaloo Bag writers recently caught his act in person and they will enthusiastically tell you that this is one great Rock’n’Roll teen combo! It is so great to see Kid Congo fronting his own band, writing whack songs and playing stun guitar! When this band comes to your town, by all means, go see it. Also, buy the records! 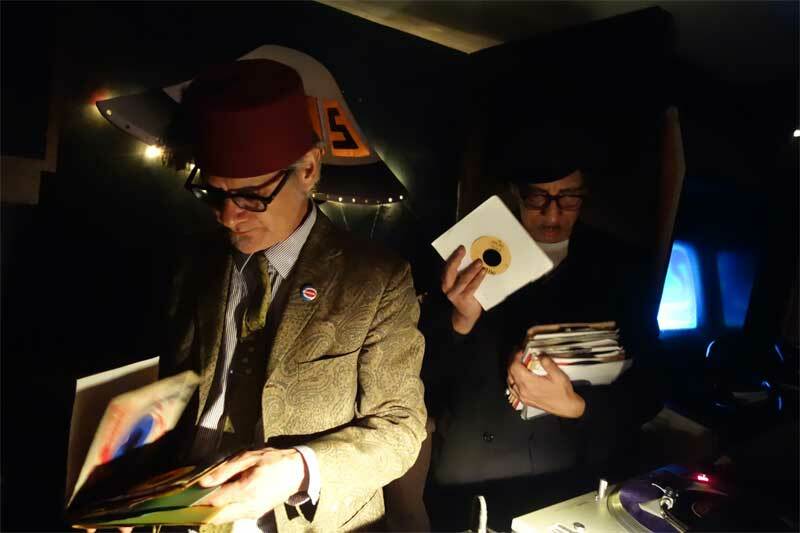 Phast Phreddie the Boogaloo Omnibus and Kid Congo Powers take special care to select the perfect records to play at TWIST ALL NIGHT! The Boog also played a little tribute to two recently departed heroes: Allen Toussaint wrote “Candy Yam” for Lee Dorsey (fitting into the Thanksgiving theme); and “Swim Time U.S.A.” by The Life Guards was played in order to remember P.F. 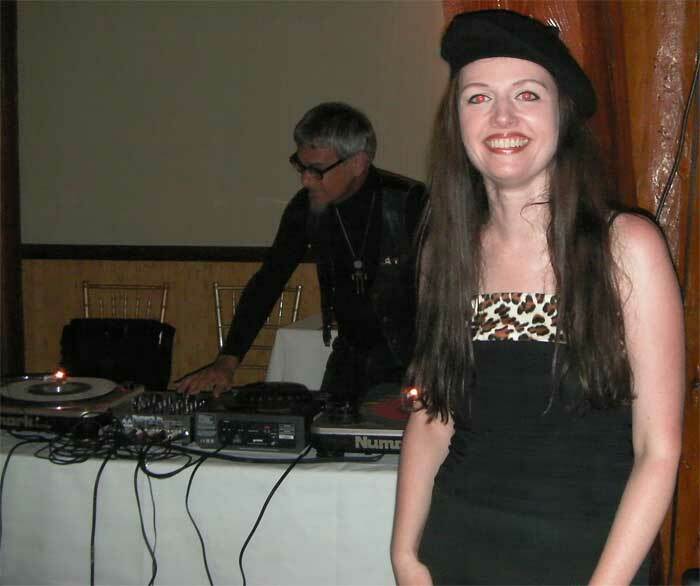 Sloan (and to salute our friend DJ Rata, a swim instructor by day, Boogaloo Enthusiast by night!). None of these records are for sale. Photos by Nancy “Jeannie” Gardner. 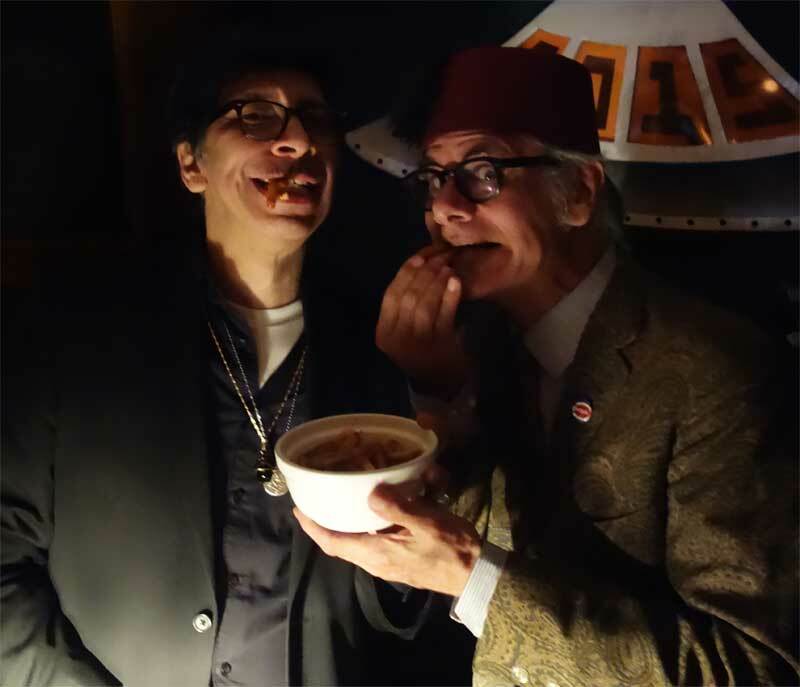 Kid Congo Powers and Phast Phreddie the Boogaloo Omnibus sample the fantastic French fries at the Commodore!